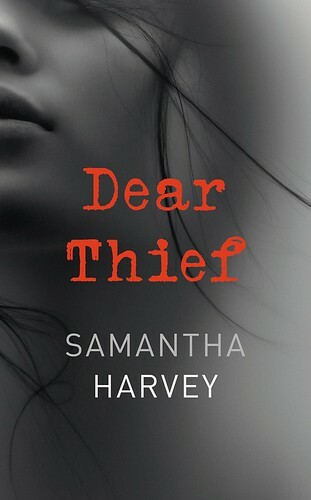 Dear Thief, Samantha Harvey's third novel, opens with the irresistible image of a woman starting a long letter to an old friend, opening her missive with the words 'In answer to a question you asked a long time ago, I have, yes, seen through what you called the gauze of this life.' Instantly enigmatic and captivating, this beginning sets the tone for a a narrative that doesn't so much twist and turn as double back on itself, reroute and realign, continually reshaping the story. Written over the course of half a year, the unnamed narrator's letter is addressed to Nina, known as 'Butterfly', a figure who - appropriately enough - hovers constantly over the protagonist's life, once almost literally (when she appears in a dream, standing beside the bed), always metaphorically. She was a friend for decades, now estranged, her whereabouts unknown. And as the story unfolds in its fragmented, non-linear way, it becomes clear that 'Butterfly' betrayed the narrator with her husband, Nicolas - now also estranged. You would expect such a betrayal to be at the heart of the book, and in a way it is, but to define it in that way would do this surprising novel a huge disservice. While it's described, in part, as a triangular love story, it is really only the central friendship that matters. It's impossible to discuss a book like this without invoking the lingering spectre of the Unreliable Narrator. Dear Thief is perhaps doubly unreliable: the narrator's memories of things are blurred, and her account is entirely one-sided, but of course she is also addressing this account to a former friend, an enemy - and even though she hasn't seen this person for years, the narrator's emotional relationship with the memory of 'Butterfly' and her actions remains complicated. Sometimes she seeks to accuse, to lay blame, to provoke guilt; at other times she wistfully speaks of the pair's shared childhood, the closeness of their bond. And since she doesn't know where in the world 'Butterfly' is, or if the woman is even alive, it's questionable how much of this letter is truly a letter and how much is an exercise in self-purging, in forgiving herself. You were standing at the end of the platform with your head down and your weight off one foot, in the way I've seen wounded wolves stand in films like Once Upon a Time in the West - not that I have seen this film, but this is how I imagine it to be. This small detail captures the essence of the narrator's habit of redefining facts and memories to fit her story. In one sentence she states unequivocally that she has seen this thing; in the next she refutes that entirely. But it doesn't matter, because this is how she imagines it. She often employs this sort of contradiction, asking her addressee: 'isn't the admittance of a lie more honest, anyway, than a truth arrived at through editing?' The frustration and fascination of Dear Thief lies in the fact that we will never know how many of those lies the narrator doesn't admit, how many things she misremembers, leaves out, or embellishes. In some chapters she paints a cruel picture of an imagined version of the life 'Butterfly' lives as she imagines it now, living alone in a woodland hut, sleeping in 'maximum discomfort'. These parts of the narrative are explicitly invented - a sort of punishment, a psychological prison in which the narrator has confined her memories of her former friend - but they come to be part of the story, just as much as the more obviously factual chapters. What we never discover is how much of a fiction those 'facts' may actually be. The narrator also alludes to the idea that Yannis, a local restaurateur she becomes acquainted with, could have been made up to provide a parallel to her story (he is on the verge of divorce, and the narrator finds herself giving him advice). It's certainly true that Yannis seems to serve as a plot device on more than one occasion, but is this the work of the author of the book, or the author of the letter? Extending this idea, it is possible to wonder whether 'Butterfly' even really existed. The character, flighty, artistic and sensual, is surely more the realisation of a trope than a believable person: doing what she pleases, skipping from country to country, taking drugs, floating around in an old shawl she's worn since she was a girl. There are points when she seems like a sort of conduit for the narrator's own unspoken desires and dreams of more uninhibited behaviour, and it's as if her remembered actions are more symbolic than real - for example, when she spontaenously kisses a female dinner party guest on the mouth, flustering the narrator's husband, while the narrator scuttles around in the background, pouring drinks, the very picture of domestic obligation. In one of my favourite passages from the novel, the narrator talks about her theory that 'people are wrong to believe that we desire what we cannot have... Instead we desire what we aren't, but can conceivably be'. (I couldn't stop thinking about this for a while - even if not generally accurate, it is certainly true of me.) Is this, then, what 'Butterfly' represents? The person we could become, if not for inhibitions, responsibilities, prudence? The second chapter of Dear Thief opens with the words 'on the whole I do not think of you any more'; the entirety of the rest of the book sets about disproving this claim in every detail. The narrator's past, her marriage, her life now, her dreams - all are haunted, consumed, by 'Butterfly', and a final scene in which the narrator literally chases her friend's shadow, or ghost, or double only serves to underline that. While reading it I didn't love this book as much as I thought I might, and yet the more time I spend thinking about it, the more fascinated I am. There is so much to pick out of it that I could probably read it again and write a completely different review. Both a portrait of friendship as a love story, and a cautionary tale about the risk involved in friendship of this depth and fragility, Dear Thief, described by no less than A.M. Homes as 'a hypnotic, beautiful and sometimes dark incantation', is haunting and totally unforgettable. I loved it. I received an advance review copy of Dear Thief from the publisher through NetGalley.